The Sintrol Dumo is a revolutionary dust trend monitoring device, tailor made for the mining industry and distributed exclusively in Australia by ECOTECH. Sintrol DUMO: A small, but robust dust trending device suitable for above and below ground mining operations. Pictured here mounted on a mine haul truck during successful field trials in Western Australia. ECOTECH instruments are synonymous with excellence in dust and particulate monitoring. For several decades ECOTECH has worked closely with the mining industry and environmental agencies in Western Australia (WA) to ensure environmental regulation compliance, and the health and safety of mining employees and local communities. ECOTECH is the largest supplier of dust and fenceline monitoring products and services to the mining industry in WA. To complement its own range of equipment, ECOTECH has sourced a new kind of dust monitoring trend device from Finland. Made by one of the world’s largest dust monitor manufacturers, Sintrol DUMO (pronounced “dew-mo”) is unique in its ability to monitor a wider range of dust concentrations – from low to high, and to easily alert users about changes in events or conditions as they occur. The system is designed to work both above (Sintrol DUMO version “M”) and below ground (Sintrol DUMO version “G”). Multiple Sintrol DUMO units can also be networked with each other to help isolate dust sources in real-time. 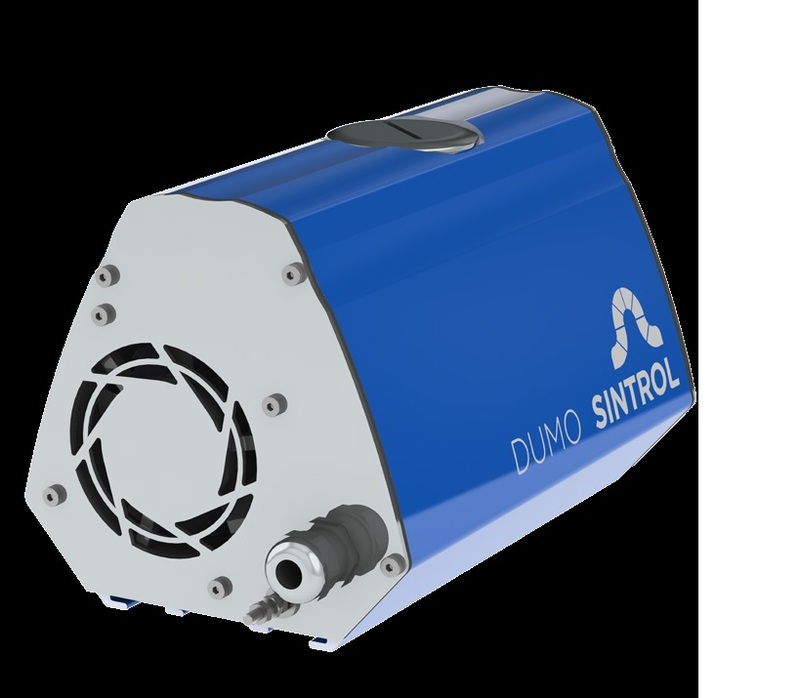 The Sintrol DUMO dust monitor is based on distinctive Inductive Electrification technology, providing a repeatable linear output. The output can also be correlated to provide dust concentration. Whereas other dust monitors typically only register a change in dust levels when dust particles directly hit a probe, the Sintrol DUMO works differently, and gives a better trending indication and a wider field of capture. The measurement is based on particles interacting with an isolated probe mounted into the duct or stack. When moving particles pass by or hit the probe, a signal is induced. This signal is then processed through a series of advanced algorithms to filter out noise and provide an accurate dust measurement output. Sintrol DUMO is capable of monitoring low dust concentrations and particle sizes as small as 0.3 micrometres. 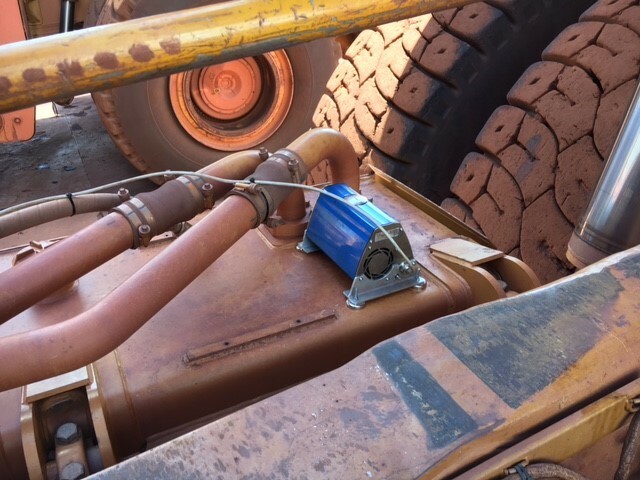 The Sintrol DUMO has successfully completed field trials in Newman, WA, where it was used on hail trucks to transport ore from blast site to processing plant. A simple traffic light system alerts the user to variations in concentration of dust levels from fine, medium, and high. Dust levels are auto-calibrated in a matter of minutes, allowing mining companies to see the locations where haul road dust suppression is required, and target the use of the water trucks more efficiently. According to Andy Park, ECOTECH Sales Engineer, the ability of Sintrol DUMO to perform in high dust applications makes it the perfect dust monitoring tool for the mining industry. “As many of the haul trucks currently in operation are already fitted with GPS technology, the addition of the Sintrol DUMO provides a simple and cost-effective solution for controlling water dispersion to dampen down dust levels only when and where required, rather than at predetermined regular intervals,” he said. “In addition to potential cost savings, Sintrol DUMO also has a strong health and safety benefit, identifying and alerting mine staff to any dust spillage event or change of conditions in the mine itself, in stockpiles, on conveyor belts or on the trucks,” he added. The Sintrol DUMO (Version “G”) is suitable for underground dust monitoring, and is the only hazardous area monitor available. This is particularly important in coal mining, where at the first sign of a hazardous rise in dust levels, Sintrol DUMO can send an alarm signal to immediately activate filters, ventilation and dust suppression systems. The Sintrol DUMO dust trending device, with its wireless communication capabilities, is portable, robust and tolerant to a variety of industrial environments where harmful dust concentrations are encountered.